The Law Office of Phillip Menditto can help you Seal or Expunge your record to safeguard your future. Once your case is finished, call Phillip today to handle Sealing or Expunging your case. The process can take a few months call now. There are companies out there that are downloading everything from your arrest (police reports, witness statements, mug shots, etc). Therefore, if you act quickly and Seal or Expunge your record, we can stop this from happening. Mr. Menditto, when he Seals or Expunges your case, creates an Order for the Court which states that the FBI, Department of Justice, the Local Police Department, the Clerk of Court, and other agencies are Ordered by the Court to close your record. The Law Office of Phillip Menditto can handles all misdemeanor and felony cases in State and Federal Court. If you have been charged with any crime in the State of Florida, call Phillip now. Just because you have been arrested for a crime, doesn't' mean that the State of Florida is going to charge you with that crime. Another words, it isn't the police who determine what charges, if any, should be brought against you. It is a Prosecutor, a lawyer, who makes that call about what to charge you with. It is imperative that you call us immediately upon your arrest. I will personally contact the Prosecutor on your case in the hopes of reducing or eliminating your charges all together. I'm a former Prosecutor who knows how to handle your case. Call me today if you have been arrested for a State or Federal offense. 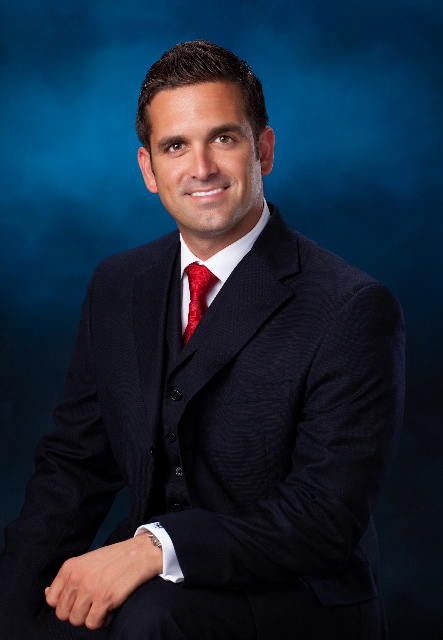 The Law Office of Phillip Menditto has handled countless DUI cases as a former Prosecutor and for the past 11 years as a Criminal Defense Attorney. As a former prosecutor, the vast majority of my caseload for over a year was DUIs. I know DUI law inside and out. For over a decade, I've successfully defended many DUI clients. If you've been arrested for DUI, you must call me to help save you're license within the first 10 days of your arrest. I know that you probably feel down, broken, and destroyed after your DUI arrest but calling me if the first step in getting your life back on track. I'll meet with you for a free consultation to explain all your rights. The Law Office of Phillip Menditto in almost all cases will get your tickets dismissed or no points and traffic school. If you get a citation, DO NOT PAY THAT TICKET. If you pay the ticket, you'll get points on your license, cause your insurance rates to rise, and could lead to a possible suspension down the road. Once you hire my firm, we fight your ticket every step of the way. The following are the ways we fight: 1. We first try to get the ticket dismissed based upon a technicality for officer error. If none exists, we set the case for trial which you will not need to attend. 2. If the officer fails to show, the ticket get dismissed. 3. If the officer shows, we get you the best deal possible which in most cases is only minimal Court Costs. 4. If you are not guilty of the citation, I will fight for you in a trial against the police. Call me today if you received a citation for any reason. Throughout law school, I interned at the City Prosecutor's Office for Fort Lauderdale. I loved it and loved practicing criminal law. After law school, I received a job at the State Attorney's Office in Broward County. After 2 years of being a Prosecutor, I left for private practice and never looked back. I have practiced criminal law my entire life as an attorney and in law school. I have never wanted to do anything else. I have been very blessed at what i do. I went to a wonderful law school in Virgina Beach, Virginia called Regent University. I received a first rate education and scored extremely high when I took the Florida Bar back in 2003. I was born and raised here in South Florida. I went to high school in Deerfield Beach. I'm the youngest of 8 kids and loved growing up in this vacation spot. I went to undergrad in NY and Virginia followed by law school in Virginia Beach, Virgina. After law school, I decided to return to South Florida and apply to the State Attorney's Office. After 2 years of being a Prosecutor, I opened a law office in Fort Lauderdale and I've practiced throughout the State but mainly in the tri-county area.